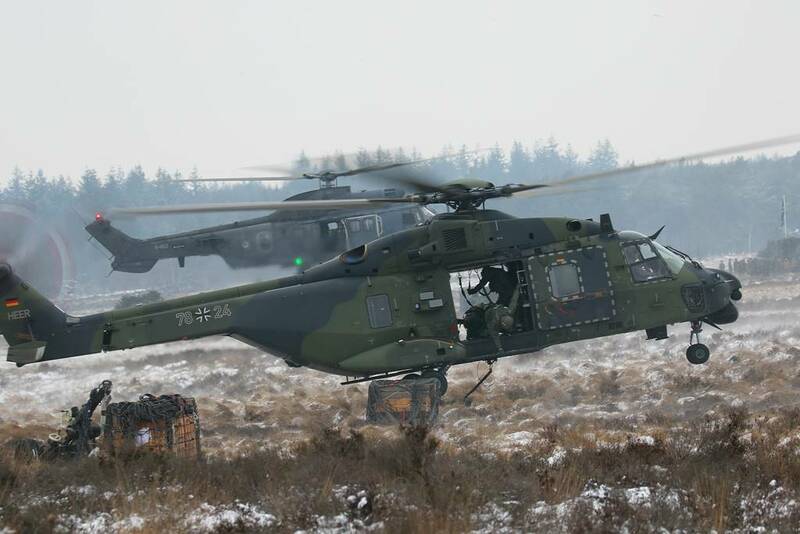 German NH90 and Dutch Coungar helicopters during exercise "Slingery". 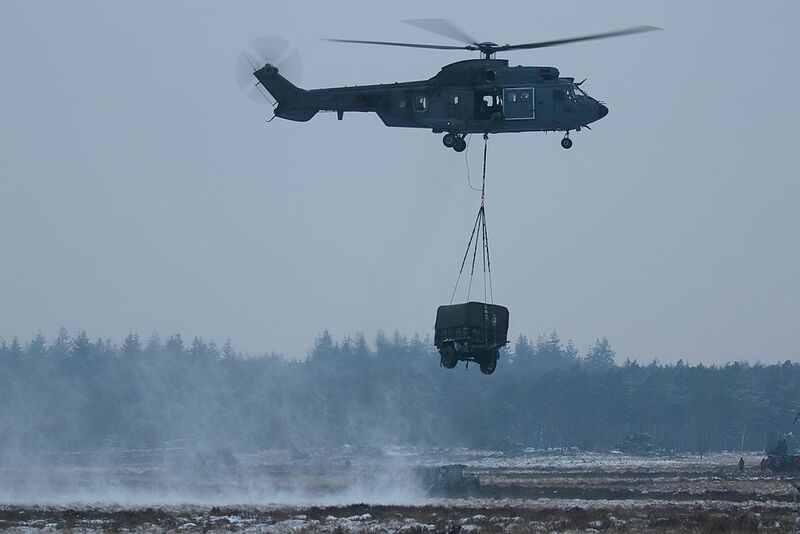 20190123 At the heath near the city of Ede (NL), an international exercise took place with German NH90 and Dutch Chinook and Cougar helicopters. 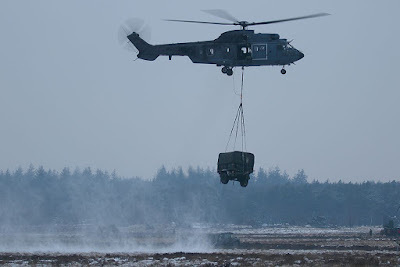 A few years ago, the Dutch and German Army decided to combine their Air Assault Brigades into 1 command, known as “Division Schnelle Kräfte” or ‘Fast Forces Division’. 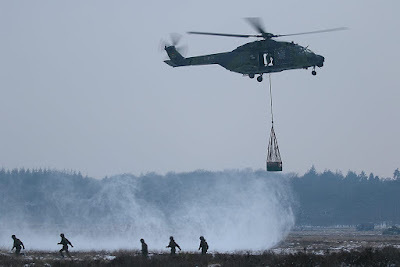 The Division consists of some 9,500 German soldiers and 2,300 Dutch soldiers; support is delivered by German Army helicopters and Dutch AirForce helicopters when air manoeuvres take place. In the autumn of 2018, a large exercise took place in the Netherlands called “Falcon Autumn” and in 2019 a ’slingery’ exercise took place in the Netherlands. 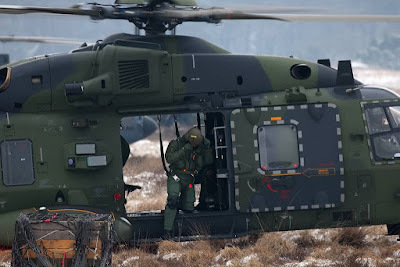 The 2019 ‘slingery’ exercise was meant to further integrate the German and Dutch helicopters and to finish the training of Rigger Marshall course for the Dutch and German course participants. 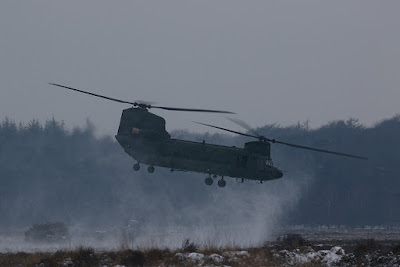 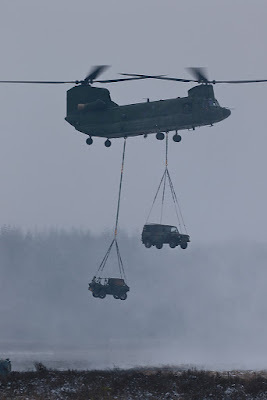 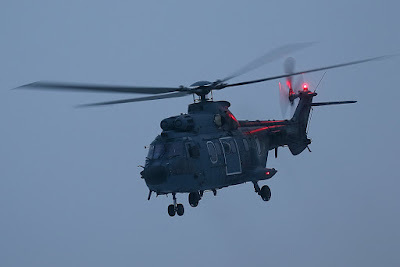 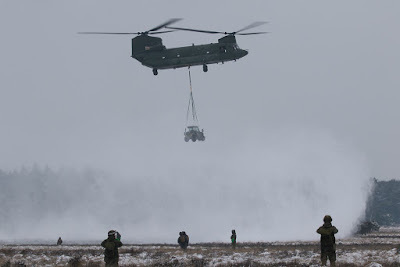 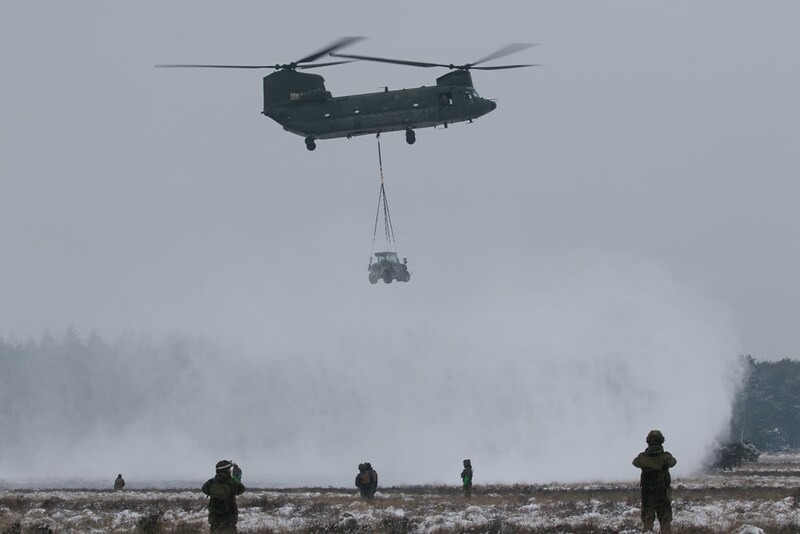 2 German Army helicopters flew to the Dutch helicopter base of Gilze-Rijen (EHGR) and together with 3 Dutch Air Force CH-47 Chinooks and 2 AS-532U2 Cougars helicopters, they flew to the staging airbase of Deelen, just at a few kilometers from the Landing Zone (LZ) in Ede. At Deelen AB, the slingloads were attached to the helicopters and the helicopters flew 3 daytime waves towards the Landing Zone and back. In the Landing Zone, the slingloads were detached and new slingloads were attached or soldiers were loaded into the cargo area of the helicopters. An extra dimension was added by the snowfall of the previous day, causing ‘whiteout’ conditions for the pilots during the hovering phase.